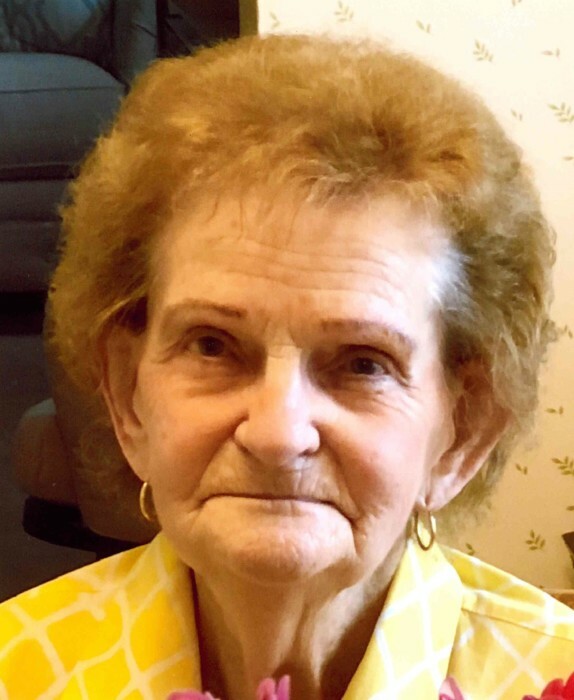 Josephine Coila Golubski, age 89, of Kansas City, KS., passed away July 14, 2018 at home. Family and friends may call on Wednesday, July 18th from 5:00-7:00 pm, with the Rosary being 5:00 pm, at the Mary Butler Meyers Funeral Home, 6300 Parallel Pkwy., Kansas City, KS. A funeral Mass will be said on Thursday, July 19th, 11:00 am at St. Patrick’s Parish, 1086 N. 94th Street, Kansas City, KS. Interment Mt. Calvary Cemetery, 38th & State Ave., Kansas City, KS. She was the third of 6 daughters, born to William and Merriam Rowley. She attended school in Stotts City, MO., then moving to Los Angeles, CA., where she attended Poly-Technic High School graduating in 1947. She returned to Pierce City, MO where she met and married Edmund Golubski. They then moved to Kansas City, Kansas where they made their home. She was preceded in death by her husband Ed in 1986 after 38 years of marriage, two sisters, Charlotte Golubski and Betty Ann Williams. She is survived by two sons, Roger Golubski (Lorene) and Randall Golubski and wife (Marlene), five grandchildren and two step grandchildren. All were very precious to her. Three sisters, Jeanne Lanham-Chatsworth, CA., Beverly Roetto and Sue Weston both of Monett, Mo. Josephine worked for many years at Certain Teed Fiberglass, loved growing and enjoying her many flowers and hosting holiday get togethers. She was also an active member of the Moose Lodge. Josephine’s greatest love was her family and she adored each and every one of them.